Greetings, Stampers, and Happy Monday! It was a foggy, damp weekend in New York. I don't think the sun ever came out. I didn't get any outdoor activities done as I had planned, but needless to say, that left more time for stamping! Today's project was inspired by two challenges. 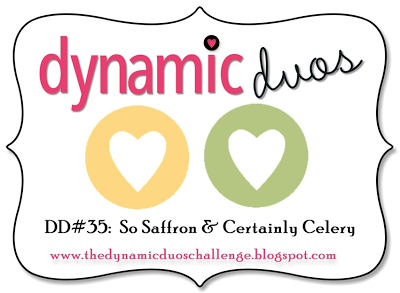 The first was the Dynamic Duos color challenge. 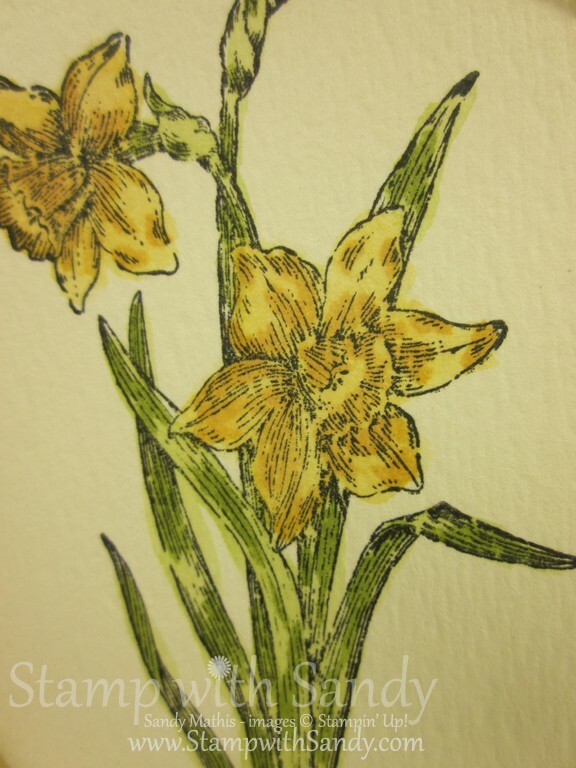 This week's is: "A Breath of Spring with Yellow and Green". You can see what direction these colors immediately sent me in, daffodils! I was inspired to pull out a retired Stampin' Up stamp set called Abundant Hope for the occasion. 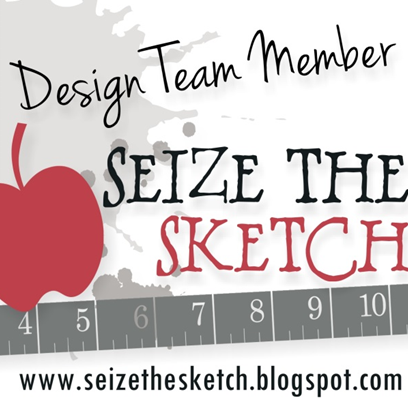 The layout was inspired by a new challenge site called Seize the Birthday. 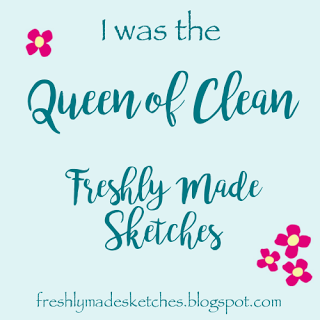 For their first challenge they have a sketch and a theme for a feminine birthday card. I love this sketch and had so many ideas for it. You'll likely see me use it again. The daffodil image was stamped with Black Stazon Ink onto Watercolor Paper. I colored it in using ink refills and an Aqua Painter. The ink refills are awesome to work with when you are coloring an image. It gives you the opportunity to use the ink undiluted for a deeper shade, or to water it down for a softer shade. I sponged all the edges with a little Crumb Cake ink to soften things up a bit. Beautiful card and I love the colors you used for this! Fabulous DP too. Sandy I just love this card....everything about it...the layout, the colours and the stamp..gorgeous. What wonderful coloring on the flower and your choice of patterned papers is perfect for this serene image! Pretty, pretty, pretty! This card is a breath of fresh air Sandy! 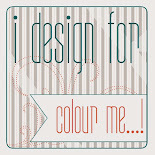 Love your colouring! Thank you for joining us at Seize the Birthday! So pretty! I adore your card and the image is so well done. I have to admit that the aqua painter is one tool I'm scared of. Thanks for playing with the Dynamic Duos. Beautiful! 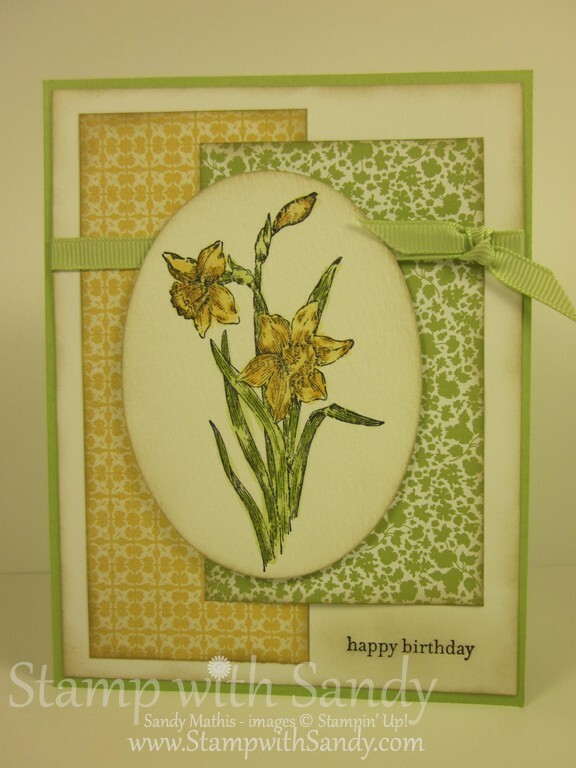 Love the combination of the daffodils and the pretty papers. Thanks for playing with Dynamic Duos this week! 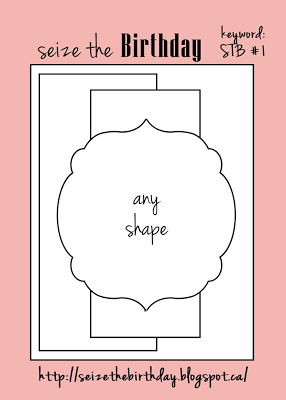 Awww, what a beautiful and lovely card! 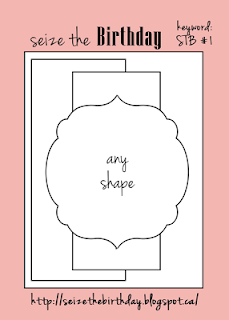 I was looking for some birthday cards for friends ideas and stumbled on Seize The Birthday card challenge. I love every entry there.